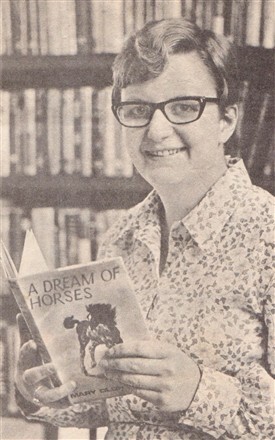 Mary Oldham (1945 - ), who worked for Nottinghamshire public libraries in the 1960s, is the author of two published novels on the theme of horses - "A Dream of Horses" (1968) and "The White Pony" (1981). Mary is the elder daughter of Mr Alec Oldham, former chairman of Beeston and Stapleford Urban District Council. She was born in Chilwell, Nottinghamshire, and educated at Nottingham Girls' High School. She left in 1961, aged 16, and began working at Beeston public library. Following completion of a 2-year qualification in Librarianship at Aberystwyth College, she returned to Nottinghamshire and oversaw the running of the Trent Valley mobile library service based at Southwell. She moved to live in Southwell (Norwood Gardens) and in 1968 became Branch Librarian at Southwell Library. It was whilst working there that her first novel, "A Dream of Horses" was published. A celebration marking its publication was held at Beeston Library. A synopsis of the book is given below. Mary had owned her own horse - a white hairy Highland pony named Gareth - and admits to having been "mad keen on horses" at school (1), recalling that "I used to spend all my holidays hanging round a riding school" (2). Aged 12 she had an article published in Riding magazine about keeping a pony through the winter, and thereafter a short story for the same journal. Interviewed at the time when 'A Dream of Horses' was first appearing in the shops (1, 2), Mary revealed that she was working on a second novel - but not about horses: "That phase of my life is over", she said. "What I am writing now stems from the time I was in Wales - I got hooked on the place. At the moment this new book is still in the thinking stage. Things never come out as you expect and I am only on Chapter Two". Was this book completed or published? 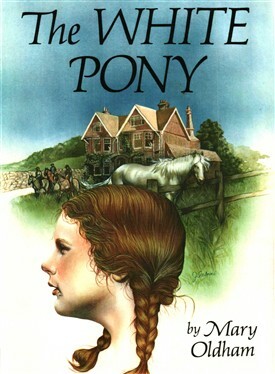 After a break of over 12 years, Mary's second horsey novel - 'The White Pony' - was published in the USA in 1981. (London: Harrap, 1968). 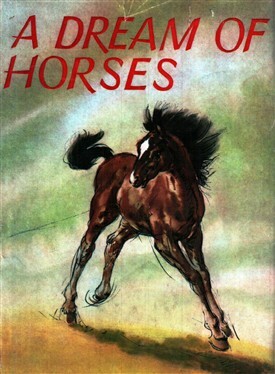 Reprinted in the USA in 1969 under the title "A Horse for Her". Speaking to The Newark Advertiser when 'A Dream of Horses' was first published (1), Mary recalled that the novel was the result of a life-long passion for horses, and that she had completed the first draft fully four years earlier in 1964: It was shelved whilst she attended the College of Librarianship at Aberyswyth. "I took it out in the summer vacation, and I thought it was terrible", she confessed, "So I wrote it all again". The book was sent to an agent in 1966, and Harrap - the first publishers approached - accepted it. Harrap's publicity for the book described Mary as having "a natural direct approach that is sure to win her many fans". Can Barbara's beloved pony, Bianca, give her the inspiration to lose weight and win her parents' approval? 1. Newark Advertiser 11th May 1968 "Being horse-crazy has borne fruit". This page was added by Website Administrator on 06/02/2017.